Back in September, as the 20th Anniversary celebrations were coming to an end, Disneyland Paris hosted an event in which some of our friends were invited to named ‘What’s New, What’s Next’ aimed at showing the community just some of what is planned after the year and a half long celebration. 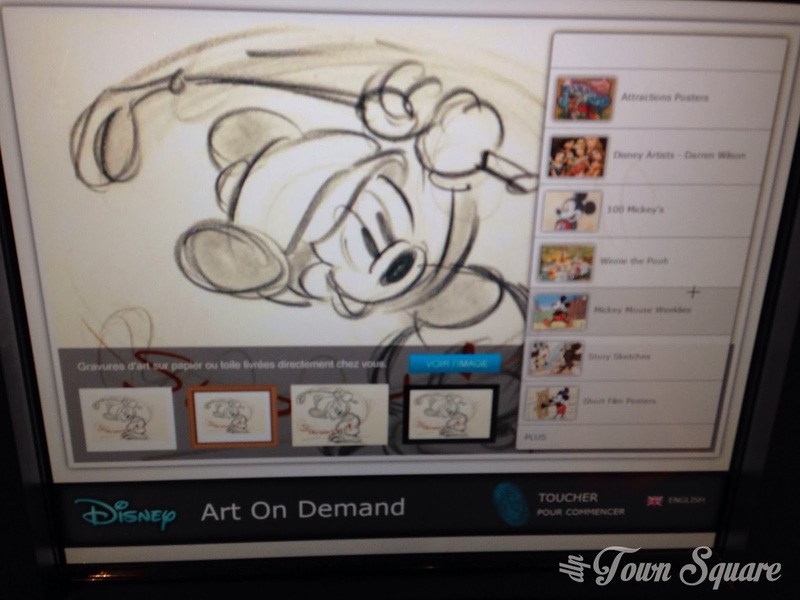 During that weekend, the resort unveiled Disney Art on Demand. 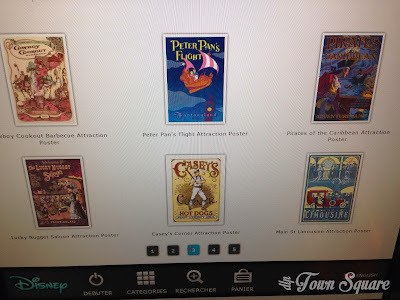 This is a service which allows guests to order prints of pieces of Disney art directly to their front door from a wide selection of pieces of work. 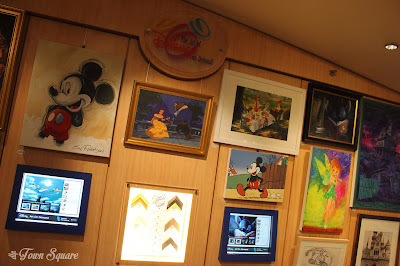 As you walk into the Disney Gallery store in Disney Village, you are confronted with the above wall showcasing the types of art that can be purchased from the touch screen computer. The computer itself is very easy to use and can be used in either French or English. Upon starting, you are presented with the ‘highlights’ of categories with options to view more. Categories included photos of Walt Disney, paintings of Disney characters, film stills and film posters, as well as the highly anticipated Attraction poster series. It’s very easy to switch from category to category and from page to page within the category. Art works include the above pictures Mickey drawing, as well as other drawings and paintings already available in the resort; the film stills were largely standard affairs, the selection was good, and is recommended if you want a collection of those in your house. 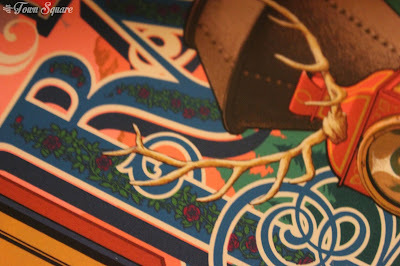 The vintage film posters are perfect for fans of the Disney films, the Mary Poppins poster is especially good. Once you have selected your chosen piece of art, you then proceed to select your printing options. Whether it be on paper or canvas, then the size, followed by the option to select a frame (this is not obligatory and is the most costly part of the experience). The cheapest printing option ends up at €17.99 (with a €6 delivery charge). Once you input your address details, you walk over to the cashier and alert them to the fact you have made an Art on Demand order, they will then retrieve your order and put it through the system and begin the printing process. Orders are given a guideline of a 2-3 week delivery window, although ours turned up at our front door in less than a week. An automated e-mail is sent out to you upon dispatch with a Royal Mail tracking number (orders are printed and dispatched in the United Kingdom using the UK Postal Service: Royal Mail). The packaging upon arrival was plenty for the item, the print arrives in a thick cardboard tube marked ‘Fragile’ by tape. Once the tube has been opened, the unframed print that we ordered was wrapped in tissue paper. The print itself was of an exceptional quality with a large white border. The colours are vibrant meaning this will make a fantastic print to hang on the wall in any home. In conclusion, Disney Art on Demand at Disneyland Paris allows guests to choose from a wide range of high quality art pieces and get them delivered direct to your front door, the ease of the system makes the ordering process incredibly straightforward. 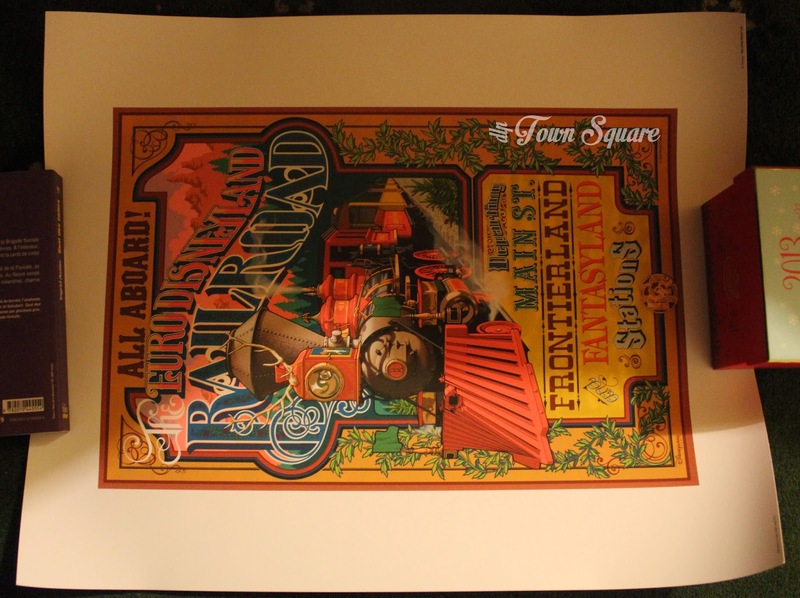 The quality of the print is of a very high standard, meaning that for a reasonable price Disney fans can have beautiful pieces of art adorning their walls. We look forward to seeing how this service grows. PreviousPrevious post:Frozen: ReviewNextNext post:Save Town Square Photography!